With growing urbanization and increasingly stronger rainfall events, more and more sewer systems are approaching the limits of their capacities. Special overflow structures with screening and retention function can help upgrade sewer systems without major interventions. Amiblu offers two solutions for this purpose: The Amiscreen and the CSO chamber. Both have been successfully installed in several projects throughout 2018; a year that the joint venture Amiblu can look back at with confidence and satisfaction. 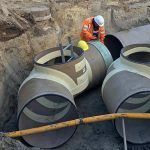 An impressive Amiblu storage sewer with integrated Amiscreen system was successfully installed in the German city of Zwickau. 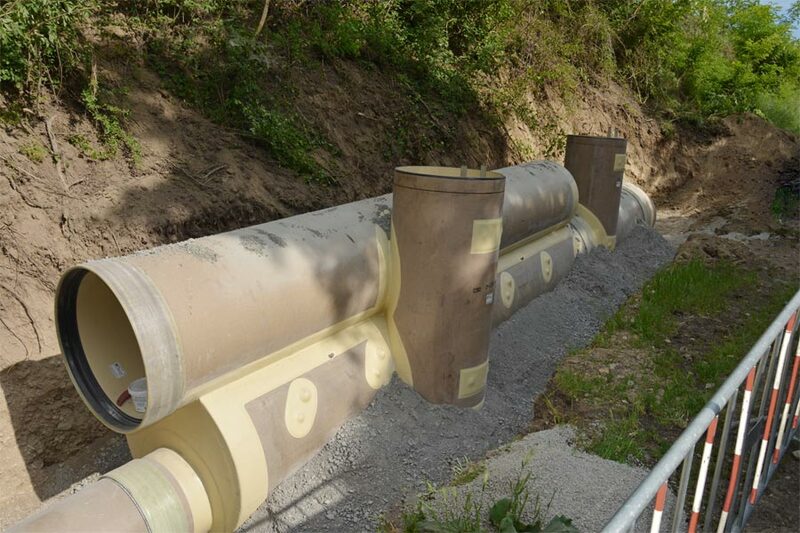 Waterworks Zwickau opted for Flowtite GRP pipes by Amiblu to realize the sewer; concrete pipes were no option due to their bigger wall thickness and respectively smaller capacity at same diameter. Further decisive factors were the GRP pipes’ smooth inner surface and long, low-maintenance lifetime. 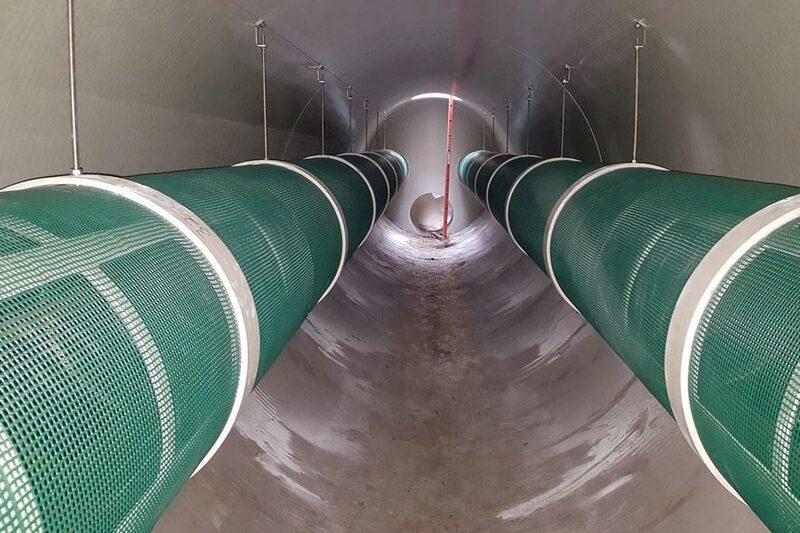 The 30 m long Flowtite storage sewer has a diameter of 3000 mm and a retention capacity of 210 m³. It features two inspection chambers DN 1000 and a rainwater overflow shaft DN 3200. Two 28 m long Amiscreen elements DN 800 with a screening surface of 141 m² ensure that all suspended solids are reliably filtered from the wastewater. 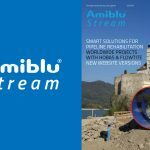 Amiblu sales manager Uwe Napierski explains the system’s benefits: „Amiscreen consists of perforated circular elements that are mounted to the sewer channel walls. Conventional rakes only manage to filter about 70% of suspended solids, Amiscreen retains 100 % of all solids larger than 8 mm inside of the sewer. Also, the screening surface is 15 to 25 times bigger than comparable filter surfaces.” The system operates without any mechanical cleaning elements or other moving parts and does not require an external power supply. Zwickau’s new Amiblu sewer solution with Amiscreen features a cleaning capacity of up to 3161 l/sec. 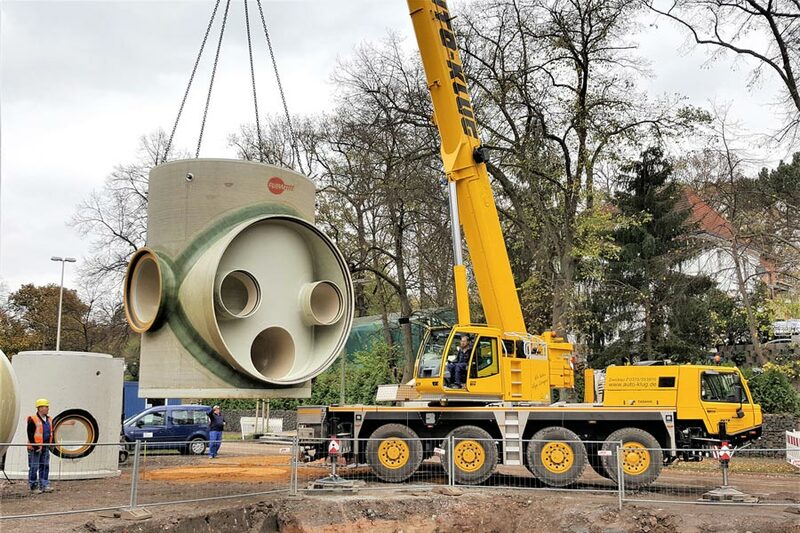 An example of the second Amiblu solution for solids retention, the CSO chamber, has been installed in the Austrian town of Mautern. The structure is more than 10 m long and consists of centrifugally cast Hobas GRP pipes with different diameters: A main pipe DN 1200, an overflow pipe DN 900, plus two manholes DN 800. Six integrated, self-cleaning screening elements (GRP bars) ensure that suspended solids are very effectively separated from the sewage and only cleaned water enters the receiving water course. The bars do not reach down to the pipe bottom, which is why in dry weather the combined sewage passes through to the wastewater treatment plant effluent without touching them. After a rainfall event, the bars start to vibrate in the decreasing water thanks to their flexible mounting and thereby clean themselves automatically. The CSO chamber in Mautern can handle inflows of up to 2900 l/sec.